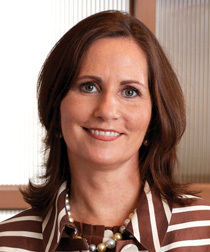 PURCHASE, NY: Julie Hamp, SVP of consumer relations and CCO of PepsiCo, has resigned her position. She will leave the food and beverage giant on March 2. "It was a difficult decision, and one that took a lot of time to consider," she told PRWeek. "But mainly, it's because I've accomplished what I set out to do with the communications team and the function when I originally took the job." Hamp, who joined PepsiCo in 2007, was responsible for building a global, yet streamlined communications department. Before her tenure at the company, the communications unit was set up with a corporate staff that reported to the CEO and separate teams devoted to brand and sector divisions. PepsiCo reorganized its communications department, reflecting the need for greater streamlining, talent diversification, and internal communications, last April. Hamp said she is considering a number of opportunities on both the brand and agency sides, but declined to give further details about her next steps. She was ranked No. 19 among the most powerful individuals in the PR industry in the 2011 version of PRWeek's Power List. Prior to PepsiCo, Hamp served in a number of senior communications roles at General Motors, working on the Buick, Cadillac, and Saturn brands, among others. A PepsiCo representative could not be immediately reached for comment.